Casio PX-160 Review - Is this keyboard any good? Casio makes some of the best keyboards on the market. For decades, their products have been enjoyed by people of every skill level. But this alone does not mean that the Casio PX-160 is going to be right for you. That is exactly what makes a good Casio PX-160 review so important. This is where we come into play. We have taken a close look at the PX-160 for the exact purpose of telling you all about it. We’ve performed tests, played the keyboard ourselves, and learned everything that you could possibly need to know about it. To discover what we learned, read on for an honest Casio PX-160 review. Let’s now take a look at some important features that will help determine if the Casio PX-160 is right for you. 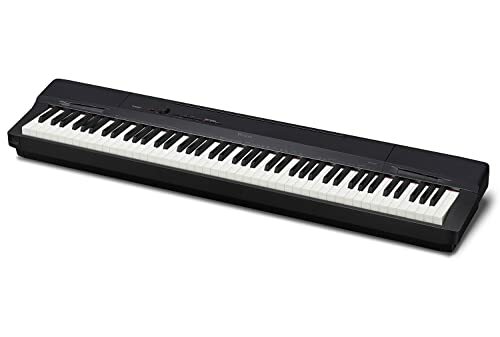 Casio is famous for making pianos with really responsive keys. You get several factors here. For one thing, the keys are fully weighted and graded. This means that they are going to feel like the keys on an acoustic. How? The weighting system is designed to mimic that of an acoustic. Acoustic keys are not only hefty, but they also vary based on position. Higher notes have a lighter weight than lower notes. You get the same thing here with the Casio. This may not sound like much if you are new to electric keyboards, but it is actually nice to see. Many don’t include this feature, even when the keys are weighted. 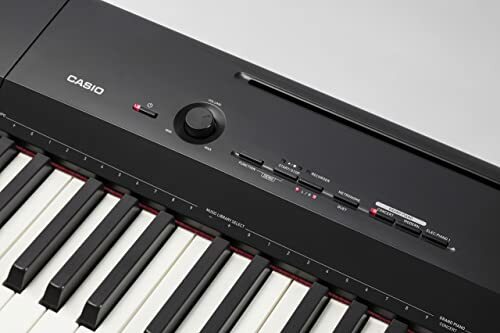 The keys also feature Casio’s famous tri-sensor technology. The tri-sensor technology is optimized to make playing this piano feel as realistic as possible. The keys are going to respond to your playing in a way that is similar to what happens when you play an acoustic. The sensors register even the feintest touches, and are able to deliver a nuanced sound that doesn’t leave out any notes. Keep in mind that the keyboard is the only part of the instrument that you as the artist will interact with directly. That being the case, it is really quite beneficial to have a good one. There is a small con pertaining to the keyboards as well. We found that they squeak a little bit—especially when they are played hard. For many people, this won’t matter much. However, if you are a perfectionist you will probably find it very distracting. Price! The consideration that everyone will run into one way or another. While affordability is ultimately relative to your budget, it is fair to say that this keyboard is comparatively affordable. Relative to other units with its features you get a really good deal here. If you are trying to find a good keyboard that comes in at well under the $1000 you will be pleased to learn that you do have options. This keyboard is, without a doubt, one of them. You also get lots of options in terms of what your playing will actually sound like. This unit comes with a staggering eighteen different piano tones. This means that you will have a wide range of options available to just about any playing style or preference. These options are a pretty standard component of keyboards. Still, they are never a guarantee, especially not when looking at products of this price range. These things considered, it is certainly nice to see the feature included here. With thirty-three different sounds it is a virtual guarantee that there will be something about this piano that suits your ear. Maybe you are a musician on the road. If so, you will find that there is plenty to like about this piano. It is compact, lightweight, and easy to transport. For one thing, the Casio PX-160 is nothing much to look at. You only get the keyboard itself here. Though not common, there are some pianos in this price range that feature furniture stands. These instruments look virtually indistinguishable from upright pianos. You don’t get anything like that here. This is a truly bare bones package. The sleek design comes with nothing but the piano itself. No stand, no headphone, no pedals. Accessories are never a guarantee in the keyboard game, but they are always nice. Buying these things separately is almost mandatory, and it certainly amps up the cost of this keyboard considerably. Even with that said, the money that you save with this pick will make it easier to justify buying the accessories. Still, it would have been nice for Casio to at least include a pedal. It is worth noting that if you won’t be able to buy a stand right away, the PX-160 will still be usable. The frame of the keyboard is small enough to fit on table tops. If the need presents itself, you can even play it on your dining table. Last but not least, this unit is also capable of hooking up to the computer. 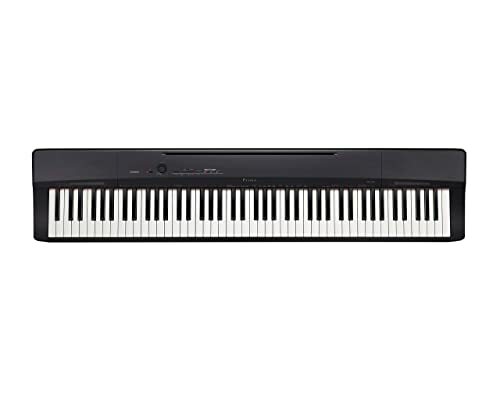 The PX-160 is MIDI capable, meaning it can be used for easy recording on most prominent smart devices. This is another standard feature for most keyboards. Still, it will be a handy thing for most users to have. Now that you know the ins and outs of this keyboard, let’s summarize our findings. Read on for a list of pros and cons that will hopefully simplify your buying decision. So, what is it going to be? Is the Casio PX-160 right for you? Like any keyboard, it does have its flaws. The keys are a little bit squeaky, and the set itself just can’t stand up to the quality of an acoustic instrument. This said, there is still plenty to like. Casio is, in particular, famous for making extremely responsive keys. We definitely see this in play here. 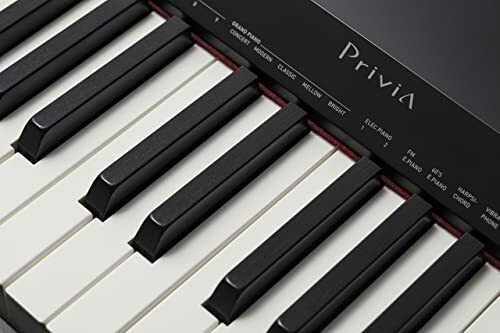 If you want a keyboard that will feel and respond the way that an acoustic would, this is one to consider. Of course, at the end of the day, only you can decide if the Casio PX-160 is right for you. We just hope that we made the decision a little bit easier for you.